Please share this important message with family, friends and neighbors. Any repost of this message would be greatly appreciated. Huron City Schools will conduct registration and screening for incoming Kindergarten/Preschool children on March 12, 14 & 15. The screening will take place at the Huron United Methodist Church, 338 Williams St.
Parents are asked to call Shawnee School on February 12, 13 & 14. Please call 419-433-1826 between 8 am to 4 pm to reserve a time for your child’s screening. These items are required to complete registration. Eligible kindergarten students must be 5 years old by September 30, 2019. Enrollment packets will be given to parents to be filled out on the screening dates in March. No packets will be handed out prior to March 12. 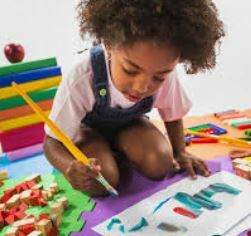 Eligible preschool students must be 3 years old by September 30, 2019. Enrollment packets will be available beginning February 12th in Shawnee’s office. The completed packets must be returned to the school by March 5.